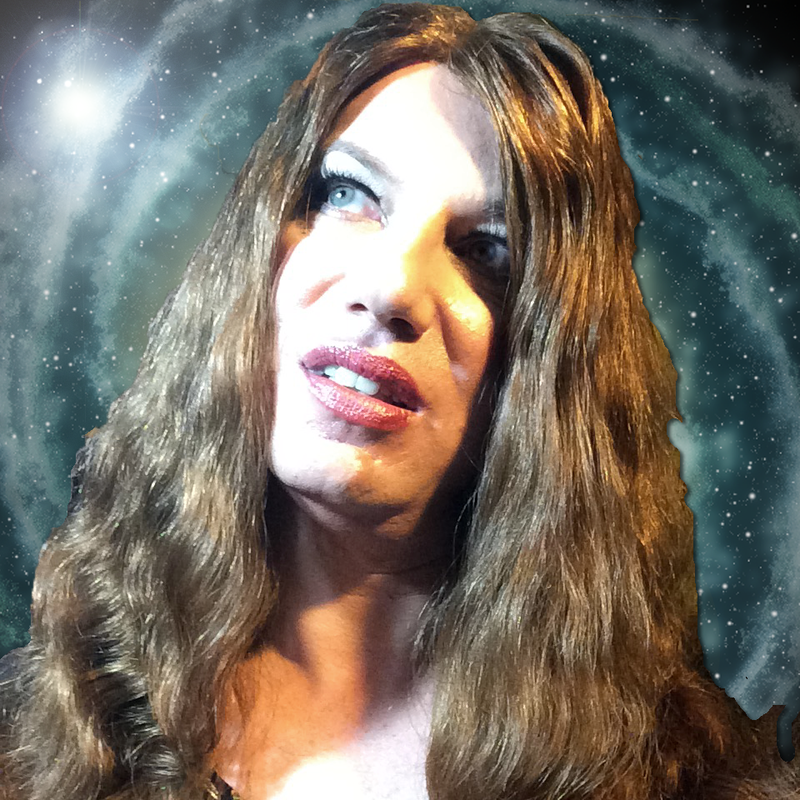 My latest series of pictures (and videos) features my new look. Seeing that the nice guys at Suddenly Fem (where I shop since 1995!) did some nice price droppings on a lot of items, I ordered a new wig and a lovely pseudo-Victorian corset (my old one simply wasn’t good enough any more). I haven’t got billions of wigs like most CDs have; in fact, I threw away a few that I bought early on, because they were too short or too dark — I favour a lighter shade of hair. This time, however, I got some comments from a genetic female a few months ago on izicams (where the community is incredibly open minded and tolerant, although I’m the only CD there) who said that I really, really should go for a modern haircut, and that my usual wigs are completely out of fashion. That made me think a bit. My old blonde wig, after two years of usage, was showing its age (I bought it via eBay in China for US$1, so I can’t complain!). My red “natural hair” wig, a decade old, is definitely beyond improvement. And I hate the older wigs and don’t use them any more. So I got the new one, and I’ve “showed off” yesterday — always online, of course, since, as you know, I don’t go out. It was a huge surprise. Usually, 90% of the guys that message me are just to insult me with the usual “fag go home” or “die die die” or just saying “you’re a guy, get away” and so on. I’m pretty used to it, since, as said, the regulars at izicams are actually very tolerant and open minded, and that’s why I hang around there — the ones that log in never to return are worthless of my attention. But yesterday it was the complete opposite! This time, 9 out of 10 guys didn’t even notice I wasn’t a genetic woman, which astonished me completely. Sure, one out of ten naturally found out, but it was the complete opposite to what I’m used to get. As a matter of fact, since I’m very honest about my sexual orientation (I’m straight as an arrow), I had to patiently explain (usually in private) that I’m not really a girl, and yes, I’m 38 years old and only like women — although I’m fine in chatting withanyone really, no matter their age, gender, skin colour, or religious orientation. For me, it was quite a strange feeling, since usually it’s the other way round. 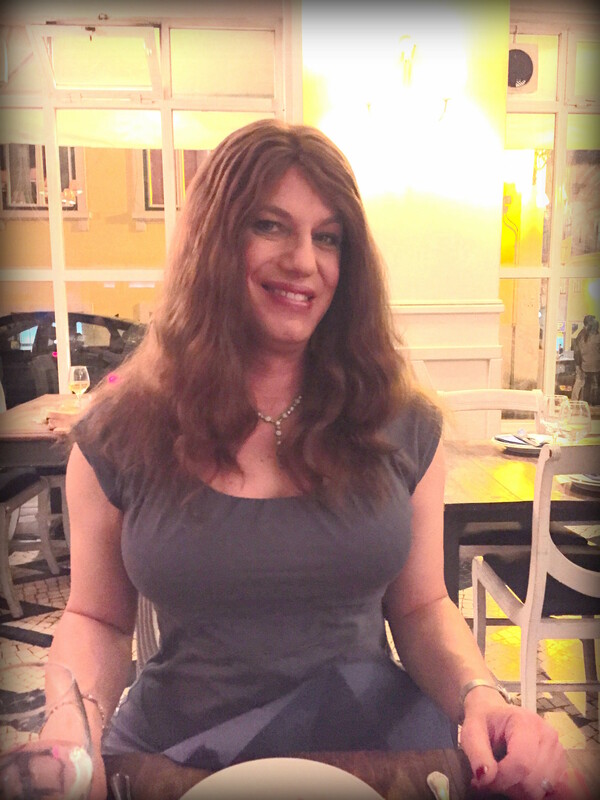 A few guys, after I’ve explained to them what a crossdresser is, still thanked me for the honesty, and although they obviously weren’t interested any more, were fine to continue to chat, and made me incredible compliments: “I’m not interested, but you look gorgeous!”. One older gentleman, who was always polite, was fascinated and just said that he didn’t care about my physical gender, I was “full woman” for him — telling that almost to an embarrassing level, sometimes in public chat. Even my wife (well, I think of her as my wife, although we’re not legally married — but we don’t need a piece of paper to prove our relationship), who thankfully allows me to crossdress (she loves the person beneath, not the outside), was quite impressed with the results — in her words, “it was due time to get rid of the mop that passed for a wig”. Well, all that made me rethink a lot about things. Recently I’ve been rather skeptical about my looks and the ability to pass even for a few minutes on the street, if I ever go out again. Yesterday, however, was a boost to my hurt ego. Just by getting a decent hair cut, the overall opinion changed 180 degrees, and in truth, I think that they might be right. The old wigs simply look too much like “wigs”. They’re fun for exaggerated looks, for the “drag queen” look — but not for what I’m aiming for, which is to be “passable” for a few moments at least. The feedback I got definitely went a long way towards that. Sure, people still prefer blondes, and although this wig is technically a “natural blonde” (pretty much my real hair colour — a fair shade, not a platinum blonde!) it looks quite darker on the pictures (so does, in fact, my real hair). But it’s the style that sells it. It’s modern, multi-layered, easy and natural to style. I was afraid it would be too short or have little volume for my face (hard to figure out when you’re shopping by pictures!) but it looks much better than I thought. I can even show off the earrings without fearing that people notice the wig, a problem I have with the older wigs. And the hair is silky, soft, and very thin, making the wig much lighter, comfortable, and cooler to wear — in fact, uncannily, it looks just like what my hair would be if I grew it longer! And as someone remarked, we should aim to a look that is an extension of our real look, and not go for something wildly different which will never fit well. I guess they were right. In fact, among my family, we share so many dominant genes that all my female cousins and aunts tend to look just like I do on the above picture! As said, this was really encouraging, and I look forward to wear the new hairstyle with a more formal look (I’ve been focusing on the casual look, which is what I would use if I ever went out), just to see if it works well with the rest of my outfits. And, who knows, if I feel confident enough, I might slip out of my home when my wife is asleep and see if I get weird comments… since I think that from a distance, even taking into account my unusual height, I look passable enough. Oh, and the new corset is fabulous! Incredibly comfortable to wear, shapes nicely (and I didn’t push the hourglass shape too much this time! ), and is much less noticeable than my previous arrays of bustiers and the old corset, which were unfortunately too obvious. This one is a perfect fit, too, and also something that encourages me to relax and not worry too much if I look “unshapely”. Next post Heat wave ahead; crossdressing will be suspended for two weeks at least!